To follow, or not to follow the Fantasy Fest theme? That is the question. Well, it is totally up to you. If the theme turns you on, then go for it. If you are not feeling it, then anything goes. 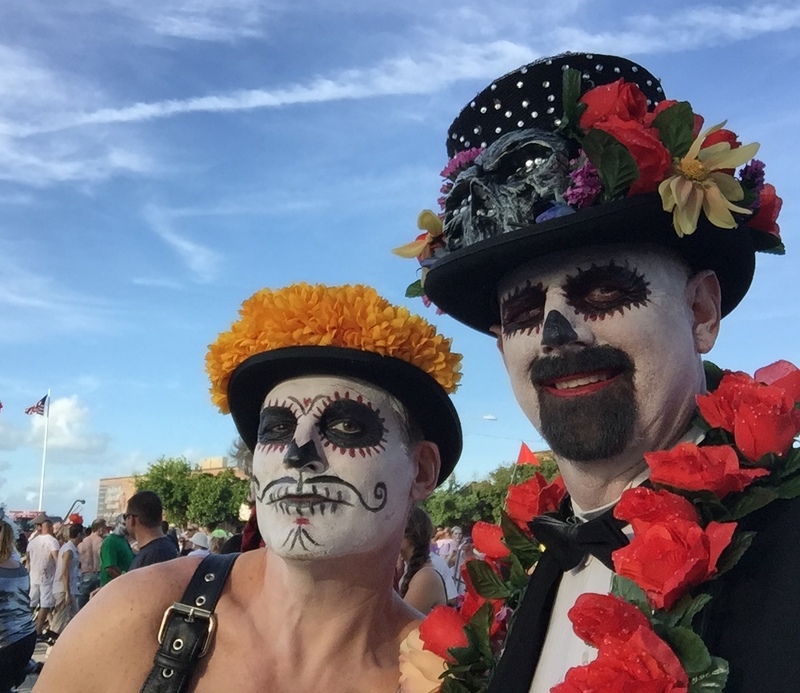 We rarely embrace the 10-day festival’s theme, but it always gets our creative wheels turning. 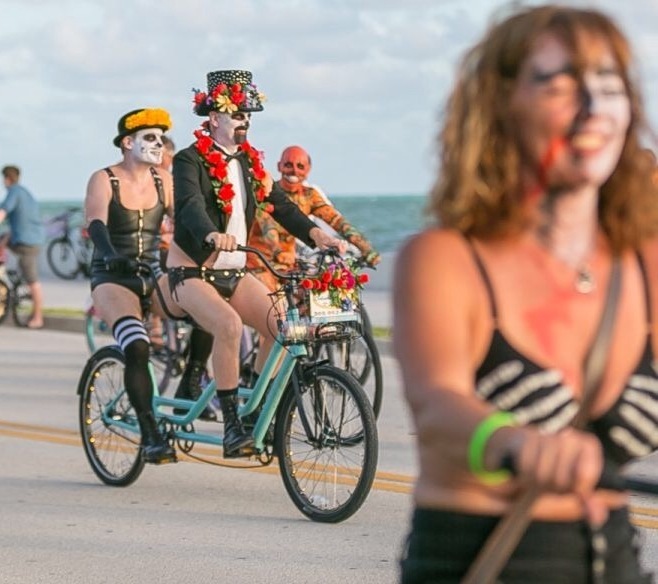 We just heard that the theme for Key West’s Fantasy Fest 2015 will be All Hallows Eve Intergalactic Freak Show ™. It got us to thinking about our favorite Fantasy Fest themes from years gone by. We came up with our top ten favorites. 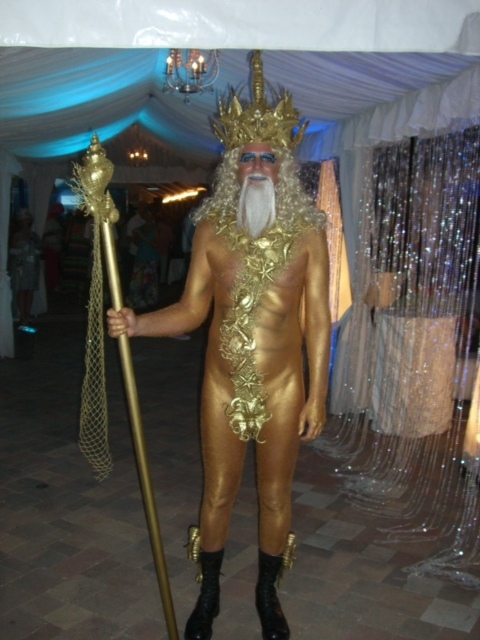 Perhaps one will ignite a spark of costume creativity for you. 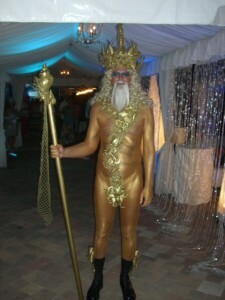 Dean as Neptune for 2011’s Aquatic Afrolic! This entry was posted in Key West's Top 10's and tagged Duval Street, Fantasy Fest, Key West entertainment, Key West nightlife, Key West's Fantasy Fest, Old Town on October 31, 2014 by Dean.